Moringa leaves are natural super food. this leaves loaded of many nutrients like Vitamin A, B, C, D and E. In fact, they have more richest such as carrots, oranges and milk. moringa leaves can be used in chapathi dough, dry subji or dry it and make it fine powder to used in soups and bake’s. 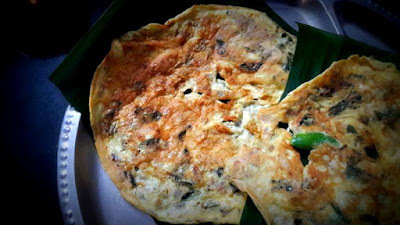 Muringa ila omelette or drumstick leaves omelette is a dish which provides high nutritional value, especially for infants / kids. Moringa leaves contains all the Health Benefits. add salt in egg and whisk keep it aside. fry onion golden brown then add chili fry a minute. add drumstick leave in pan fry 2 min. Sprinkled peppercorns on the top. Serve with rice, bread , chapati ..